Alissa J. Allison, of counsel in the New Orleans office, concentrates her practice in tort litigation. She has extensive experience defending personal injury lawsuits in state and federal courts both at trial and on appeal. Her casualty litigation practice has included products liability, premises liability and insurance defense as well as complex litigation with an emphasis on mass torts arising out of toxic exposures. 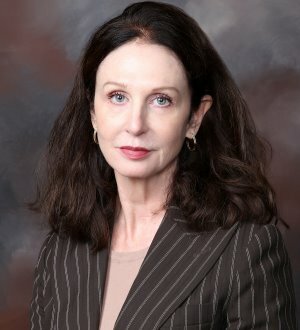 A large portion of Ms. Allison's practice is devoted to the defense of railroad companies in the context of employee lawsuits arising under the FELA, involving both traumatic injuries and a variety of occupational injuries such as hearing loss, repetitive stresses, and asbestos and silica exposures. Her railroad practice also includes defending grade crossing accidents, derailments, trespasser claims, and providing litigation assistance to railroad clients in the areas of employment discrimination and business torts. Prior to entering private practice, Ms. Allison served as law clerk to Judge L.T. Senter, Chief Judge of the United States District Court for the Northern District of Mississippi. Representation of Class I railroad in "occupational exposure" cases, including hearing loss, asbestos and repetitive stress (worn-out employee) claims filed by employees under the Federal Employers Liability Act. Several dismissed on summary judgment. Obtained directed verdict in wrongful death action arising out of vehicle-train accident in St. Charles Parish. Plaintiff alleged the crossing was a dangerous trap, the crew failed to properly sound horn and the train was traveling at excessive speed among other things. Obtained 12(b)(6) dismissal on preemption grounds in multi-party nuisance suit against railroad for excessive noise related to railroad operations. Obtained summary judgment for railroad in employment discrimination/harassment lawsuit arising out of Maintenance of Way operations in southeast Louisiana. Represented railroad company sued under Louisiana law by landowner seeking declaration and related injunction to reinstall private crossings. Case removed and tried to judgment dismissing all claims with prejudice on grounds the claims were preempted by Interstate Commerce Commission Termination Act. Trespasser whose legs were amputated by a train as he attempted to cross between two cars alleged that railroad knew persons were on the premises and had a duty to sound horn or keep a look out for trespassers before moving. Directed verdict in favor of the railroad. Wrongful death claim against Class I Railroad arising out of collision with standing train. Plaintiffs alleged failure to warn, inadequate signalization, dangerous trap, inadequate car conspicuity, and negligence per se based on violation of anti-blocking ordinance. Summary judgment granted for the railroad and affirmed by Louisiana Supreme Court. FELA plaintiff alleged poor footing and improper handholds in connection with fall from a tank car. Summary judgment in favor of railroad granted on theory that Safety Appliance Act precludes plaintiff's claims.